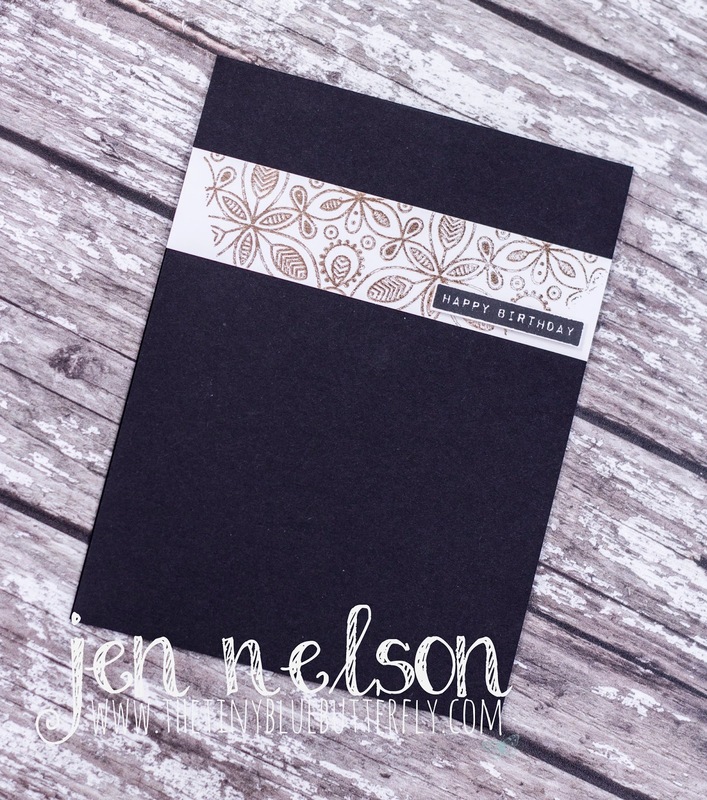 I firstly created a panel on Neenah solar white using the gel and the kaleidoscope leaves background stamp from Simon Says Stamp. Make sure you wash off the stamp as soon as you have finished. Once the panel had dried I ran it through the mini Minc once it has dried with rose gold foil. I def need more practice but it gave a lovely aged effect. For the first card I cut a 1 inch wide strip of the foiled panel and lay it horizontally across a top folding black card base. Its then finished off with a sentiment from the Mama Elephant Occasional Labels set which I stamped in black ink and then fussy cut around before mounting on foam and adding to the card. 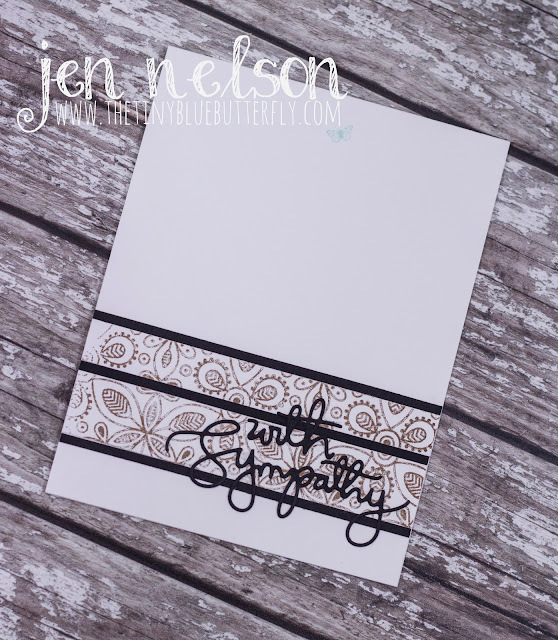 For the second card I added strips of the panel and black card stock to a white top folding card base and the cut out the With Sympathy die sentiment from Simon Says Stamp and then add it over the top of the foiled pieces.